I think it is time to restart project me. I was doing pretty good at the beginning of the year, but then things started to slip. I have found that in order for me to achieve anything, I need to keep focused on it. I need to think about it every single day. 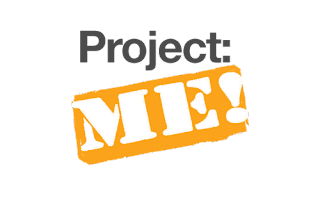 So, I think restarting Project Me is a great way to do that. Possibly even checking in here briefly every day. We will see how that goes. I can find the 10 minutes to blog every day. I just need to be organized with my time. Fitness: Crossfit 5x; walking the dogs 6x; running/walking in morning 5x; meeting my step goal every day. Health: Prep food on Sunday and track calories every day. Aim for 1500 a day. Work: Being organized and keeping on top of things. Finish the year strong. School: Devote 1 hour every night to school work. This has been difficult, but with a little planning and focus it can be done. Finances: Reinstate the moratorium on spending. Check the bank balance every night. Fill out the paperwork I have that needs to be completed. I think part of the reason that Project Me derailed is that it was for a month at a time. I don't work that way, my focus isn't long range. So I will do a week at a time and see how it goes. So this technically starts tomorrow but I'm going to start working on these things today. I will put these things in my journal and have it right in front of my face every day. Definitely no excuses. Okay, off to Crossfit for the partner WOD.